The IMF said Friday that the approval releases US$5.7 billion to President Mauricio Macri's government immediately. 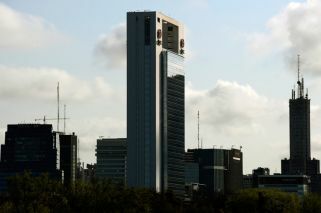 The International Monetary Fund's executive board on Friday approved its US$56.3-billion loan package to Argentina. The IMF said the approval releases US$5.7 billion to the government immediately, but it also includes tougher conditions. In a bid to stabilise the country's economy amid a currency crisis, President Mauricio Macri's government secured a US$50-billion IMF loan back in June, receiving US$15 billion rapidly. However, Argentina went back to the lender for additional support, seeking faster disbursement. The new deal will see Argentina receive more funding, at a faster pace than originally negotiated. The revised loan was said to be worth US$57.1 billion previously, but today's statement from the IMF puts the figure slightly lower at US$56.3 billion. The IMF says that when it announced plans to increase the loan in September, it originally referred to US$57.1 billion because that was the amount in Special Drawing Rights (SDR), a basket of currencies used by the fund as a unit of account. The same amount of SDR equaled Friday to US$56.3 billion. With the latest installment, the IMF has released just over US$20 billion to the Macri administration, AFP reported. "Under the new deal, Argentina will receive about US$36.2 billion throughout the remainder of this year and all of 2019, representing a US$19-billion increase from the original arrangement negotiated in June. It already received US$15 billion in June. The remainder of the funds are slated for 2020 and 2021," Bloomberg reported. The new deal has been described by analysts as "front-loaded," with most predicting it will mean Argentina will not seek further credit on international markets until after next year's election. "Despite the challenging environment the government has proactively strengthened its policy plans," IMF Managing Director Christine Lagarde said in a statement. 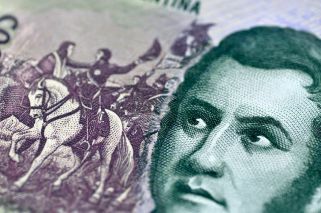 Argentina's economic woes were brought on by a rapid loss of confidence in its currency from April, which exacerbated the downturn already underway due to the severe drought. The beefed up three-year loan package requires government spending cuts and changes to Central Bank policy, including moves to choke off inflation and allowing the currency to move freely, but authorities will be able to intervene if the peso falls to steeply. Macri has introduced unpopular austerity measures, including halving the number of government ministries and restoring taxes on grain exports. The IMF stressed that the package includes a "floor" on spending for social programmes. "Protecting the most vulnerable in Argentina continues to be a central component," and the government would "increase in spending on social assistance programmes in the event that social conditions deteriorate," the IMF said. The IMF loan announcement came the day after the lower house of Congress passed an unpopular austerity budget, which now goes to the Senate where it is expected to win final approval. The final pre-dawn vote came after a marathon, rancorous debate and a day of unrest that saw police fire tear gas and rubber bullets at demonstrators throwing rocks outside the legislature to protest a bitter cocktail of tax increases and spending cuts. Macri has pledged to enact a series of cuts in health, education, science, transportation, public works and culture to the tune of US$10 billion. The budget deficit was 3.9 percent of GDP last year. The government aims to get it down to 2.7 percent in 2018 and zero by the end of next year. The IMF estimates the economy will contract by 2.6 percent this year. An IMF official told reporters the deterioration of the currency led to a surge in the country's debt burden to 81 percent of GDP. But as the peso stabilises and with the spending cuts the aim is to bring that down to below 60 percent by 2023. The official noted that the peso was overvalued and now was "much closer to fair value in terms of fundamentals." The currency was trading at about 37.93 to the dollar on Friday. The Finance Ministry has said the agreement with the IMF's executive board includes a commitment to maintain spending on social programmes to more than 1.2 percent of gross domestic product in order to protect the most vulnerable sectors. More than 27 percent of the population in Argentina are listed as living below the poverty line. Unemployment stands at 9.6 percent.